Where to see or buy work by W.L. Wyllie RA. 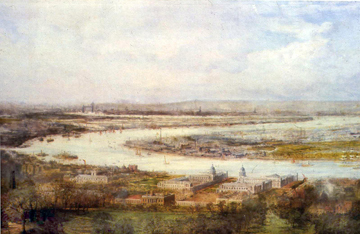 People wishing to view or buy work by W.L. 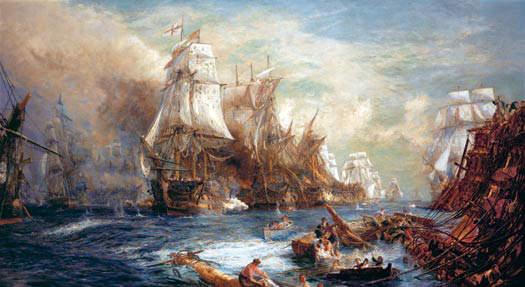 Wyllie RA in the south can visit the Antiques Storehouse - the largest antiques centre on the South Coast - in Portsmouth Historic Dockyard which has a good stock of work by Wyllie and other artists, as well as numerous antiques. The Historic Dockyard is in walking distance of The Old Portsmouth Trail and is home to HMS Victory and the Mary Rose. Both have good museums and there is also The Georgian Tearoom within the same building as the Antiques Storehouse. 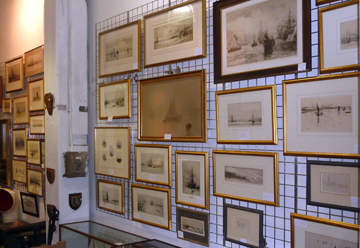 Some of the Wyllie etchings on display at the Antiques Storehouse. 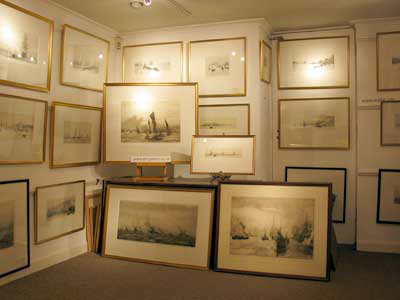 Close to the New Forest, Robert Perera Fine Art Ltd. have a gallery in Lymington where a good stock of etchings by W.L. Wyllie RA and other artists is maintained. Wyllie etchings displayed at the gallery of Robert Perera Fine Art Ltd.